Another day, another colorless children’s book makes its way to the big screen. This time it’s Alexander and the Terrible, No Good, Very Bad Day. While watching books like Curious George and Dr. Seuss’ entire collection of stories spring to life on the big screen is all well and good, who are the characters little Keisha and Reggie can relate to? Here are five black books that need to get their time on the silver screen. 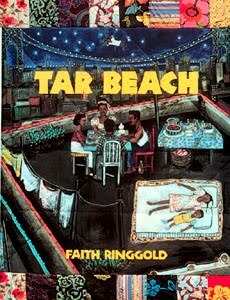 Tar Beach by Faith Ringgold: A book that’s quickly become one of the most sought after titles in stores, Tar Beach takes readers on eight-year-old Cassie Louise Lightfoot’s woundrous journey as she spreads her wings and flies up in the air across her Harlem neighborhood and beyond. The captivating illustrations, along with Cassie’s soaring tale, inspire girls and boys to think big and imagine all their possibilities. 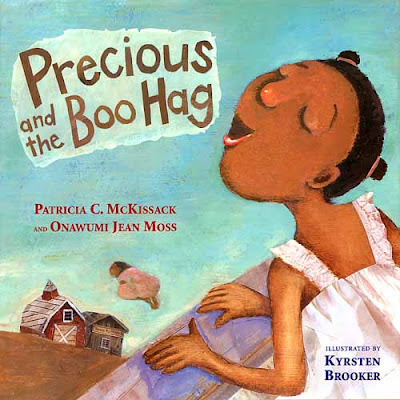 Precious and the Boo Hag by Patricia C. McKissack and Onawumi Jean Moss (illustrated by Krysten Brooker): Wickedly entertaining for both children and families, this delightfully frightful read follows Precious home alone sick, with strict orders from her mama to not let anyone in the house. But Precious—and unsuspecting readers—gets a big surprise when none other than the big, bad, lightning-haired Pruella the Boo Hag comes knocking on the door in various disguises. Kids would have fun watching the events unfold, and getting the thrill of their lives. 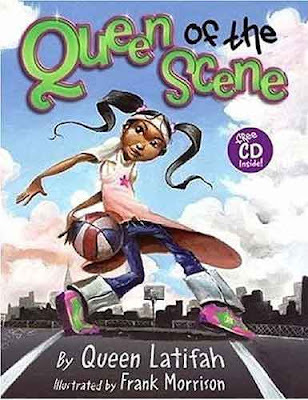 Queen of the Scene by Queen Latifah (illustrated by Frank Morrison): Kinda like the animated Love and Basketball, without the Love, this 2006 too-cool-for-school children’s book has become a modern classic for girls who have game on the playground. The first lady of hip-hop, Queen Latifah, pens a spirited message of self-love to girls and boys that can easily translate to the big screen. 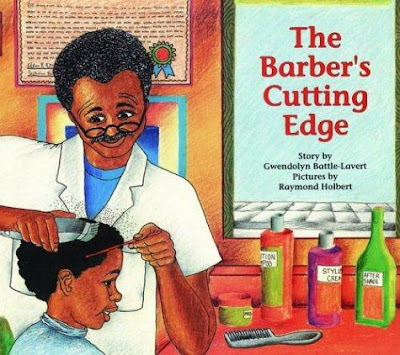 The Barber’s Cutting Edge by Gwendolyn Battle-Lavert: We far too rarely get to see little black boys and their fathers on the big screen bonding in a loving way. But this simple yet profound celebration of relationships between fathers and sons, set in the familial black hangout spot of a barbershop, highlights the story of young Rashaad and his barber mentor, Mr. Bigelow. Watching the fellas help the boys with their homework, give pep talks and play dominoes would certainly bring a smile to any dad as he sits proudly next to his son at the theater. 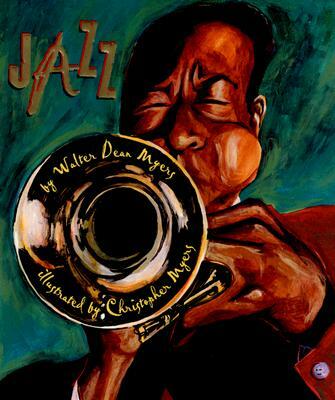 Jazz by Walter Dean Myers (Illustrated by Christopher Myers): Earlier this year we saw the evocative adult animated Cuban musical Chico & Rita get the big screen treatment, which made us yearn for the day when Myers’ vibrant 2008 children’s book gets the Hollywood hookup. Written for both jazz enthusiasts and budding prodigies, this musical tribute—complete with soulful poems—infuses the love of jazz into the hearts of readers young and old.